Meet the #1 selling logo software! Discover for yourself how easy and fun it can be to create a logo for your business, charity, sports team or organization. Logo Design Studio portable is packed with incredible tools, logo templates and vector graphics to produce amazing results! Easy logo design for everyone! You don’t need a degree in art or graphic design to create an amazing logo for you or your business. Logo Design Studio Pro has all the tools, templates and guides you need to help you create a one-of-a-kind logo that is personal and perfect. 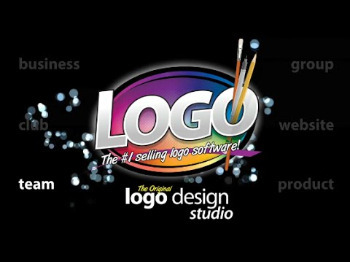 Logo Design Studio Pro has been the #1 selling logo design software for over 10 years. Why spend hundreds or even thousands to hire someone else to create a logo for you when you can design it yourself for a fraction of the cost? Professional logo design tools anyone can use! The advanced Bezier editing tools visually show adjustable nodes, which you can move to easily change the shape of text, shapes or curves. This gives you the ultimate control over your logo design and flexibility to design how you want. Adding creative effects to your logo is simple and intuitive with Logo Design Studio Pro’s professional and seamless effects tools. Make your logo jump off the page with the Shadow Tool or take your logo design to the next level with our 3D Bevel tool. You’ve also got complete text control with the ability to dynamically add text as an outline of any shape or line, fill any shape with text or you can even create a unique text shape with the powerful Bezier editing tools. Unlimited logos that will work anywhere! With Logo Design Studio Pro, you never have to worry about your logo looking fuzzy or pixelated when enlarged. Vector tools allow you to scale your logo to any size without losing sharpness or clarity. From web graphics to letterheads to billboards, your logo will look perfect in any size and in any place. Logo Design Studio Pro also gives you the ability to import and export SVG files, providing you the flexibility to edit within Logo Design Studio Pro or any other vector editor. Once you’re ready to start using your logo, choose from any one of the most popular file formats including: PDF, SVG, TIFF, PNG, JPEG, EMF, and BMP, meaning that once you’re ready to start using your new logo, it’s ready to start working right away! The perfect tools to create your logo! Over 2,000 industry-specific logo templates, you’ll have no problem finding a logo style to fit your business. From there, just customize with your own text and colors and then export to use anywhere from websites to business cards to billboards! You also have the ability to design a logo completely from scratch. Choose from over 6,000 full vector shapes, images and graphics that are included with Logo Design Studio Pro or use the advanced drawing tools to create your own completely unique shapes. The intuitive and flexible toolset is equipped to handle the most advanced graphic design needs. Bezier editing visually shows adjustable nodes you can move to change the look of shapes, text and curves. Easily undo any change you don’t like. Add a creative touch using professional effects that get noticed. Lift your logo off the canvas with a shadow, add a 3D bevel technique and so much more. Use any of the 6,000+ included vector graphics as is or edit them to fit your look. All of the graphics are professionally designed and royalty free! Add standard, solid or stroked text, wrap text around shapes, place text on a path, or convert your text into an editable shape using Bezier tools. Easily export in popular image formats with transparent backgrounds, or export in a fully editable vector format that any professional printer or ad agency will accept. Take your brand image a step further by better defining what you do. 500+ pre-written taglines and slogans make it easier for people to understand what you offer. • Standard version now includes 1500 templates and 5000 objects. • Smaller Installation Size – Saves Hard Drive Space. • Templates Optimized for newer Operating Systems. • Other minor issues fixed. • Improvements and bug fixes.